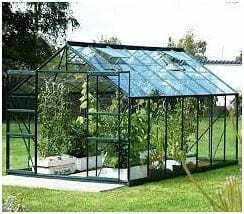 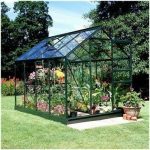 This is a green coloured greenhouse made out of aluminium and is the perfect partner for garden enthusiast enabling you to grow plants, vegetables and flowers at all different times of year. 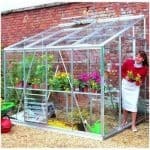 It is large and roomy and the 4 roof vents allow easy temperature control. 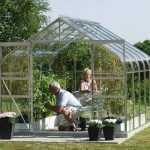 This particular greenhouse comprises of aluminium with toughened glass and it is possible to purchase an additional auto vent which will further help to control variations in temperature. 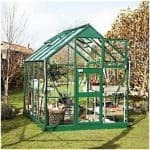 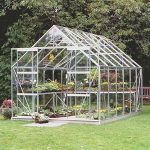 This greenhouse comes complete with a 15 year guarantee and is extremely low maintenance making it an excellent choice.